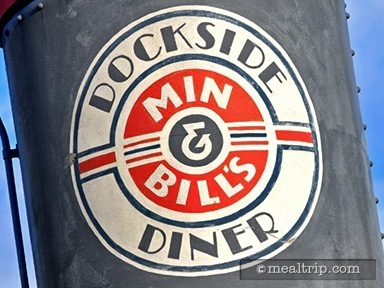 The California Crazy architectural style of Min and Bill’s Diner was very popular in the 1930’s and 40’s, and was designed to grab your attention. 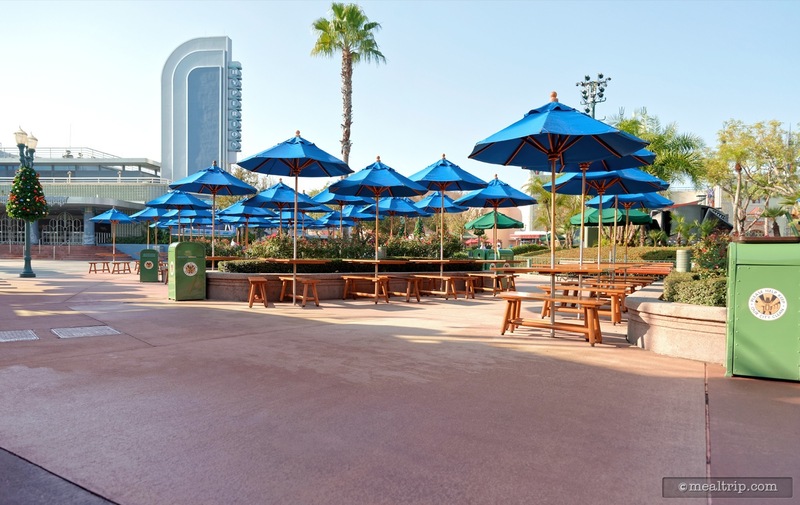 If this counter service building was placed anywhere else, it would do just that, but at Hollywood Studios, in a lagoon, and across from a giant dinosaur... it seems right at home. Offering a small outdoor seating area, Min and Bill’s features pretzel roll hot dogs, hoagies, and salads, and is usually a location where you can grab a quick beer without waiting in a long line. 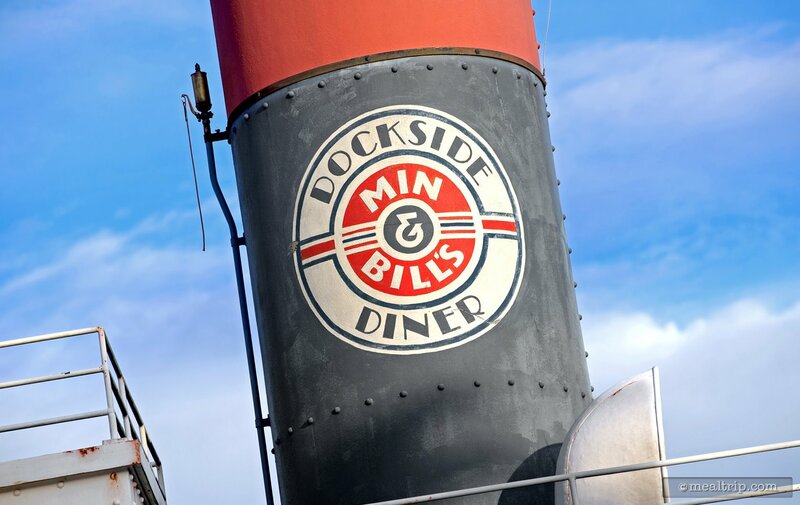 I have to give Min and Bill's Dockside Diner credit, they could just offer standard issue nachos and burgers. 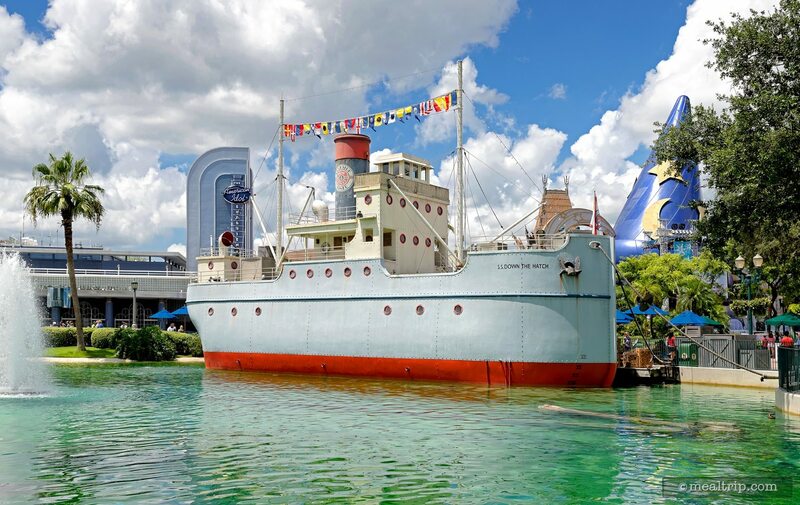 While there are a few of those items on the boat shaped eatery's limited menu (Turkey Legs and Chili Cheese Hot Dogs anyone), there are also a few that aspire to be something more. About a year ago two macaroni cups appeared on the menu. Sadly, the one I really wanted to try (a Buffalo Blue Cheese dish), didn't make the cut and has since been removed. 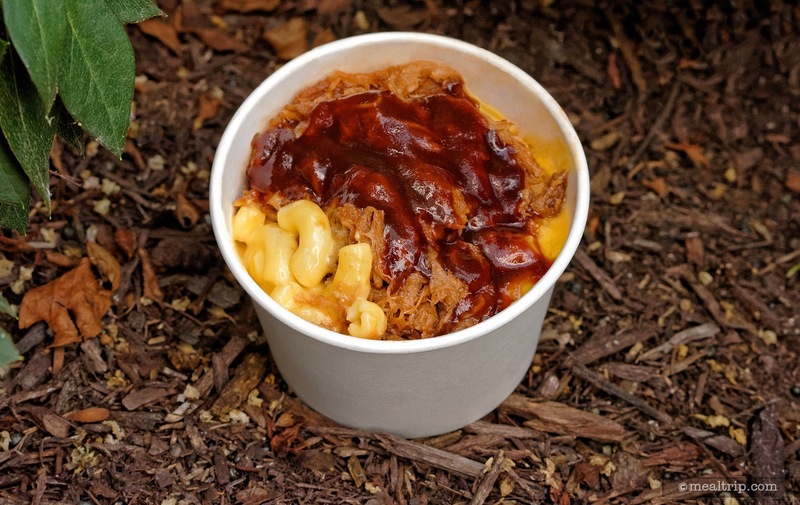 On a recent trip to Hollywood Studios I noticed that the Barbecued Pulled Pork Macaroni & Cheese was still on the menu, and so I decided to give it a try. Now, if that's all the menu board had said, I would have been fairly satisfied with the item. The mac and cheese was hot, creamy, and slightly cheesy... which is about all you can expect from Mac and Cheese at Disney these days. So all was good there. The Barbecue Pork component was also hot and juicy on it's own (i.e. one doesn't get the sense that it's kept warm simmering in the barbecue sauce), as it should be. The barbecue sauce that was applied over the top of the combination had a very nice balsamic or dehydrated vinegar-like quality about it that mixed extremely well with the mac and cheese. So everything up to this point is going great, only... the menu board says "served with Crispy Onions", and there was not a single crispy anything or onion-like topping anywhere to be found. Not only on my dish, but also not on ANY of the Barbecued Pulled Pork Macaroni & Cheese items being served that day. When pressed, no one in the kiosk seemed to have any idea what I was asking about. It may seem like a small thing, but a crunchy additional flavor component would have made this a top-notch dish. It very nearly would have received the full four stars from me. I understand that sometimes, you run out of things. It's going to happen, but the shrugs and doe-eyed looks from the denizens of Min and Bill's would suggest that there's an error on the menu board, rather than a missing component on the dish. Don't get me wrong, everyone at Min and Bills' was friendly and happy to be there, so I can't really fault them. I will have to take points away from the dish's "food quality" score and the "value" category unfortunately. If the onions were missing for one day... a bag of chips or a couple of fries should have been substituted (because let's face it, they are not going to discount the dish for one day). That would have at least let me know that this potentially great item, wasn't able to be prepared correctly that day. I'll be back Min and Bill's... because the items that are described on your menu board look original and sound delicious for a counter service kiosk. I hope next time, I'll get everything that's in the description, on my selection.